Why it’s a passion for me is because it wasn’t always something… I’ve been in the fire service for 25 years but it wasn’t always something that I could see the importance of. But since I’ve been a trainer — which is the last year and a half — I’ve seen how important it is for us as a service. We go to more road traffic collisions now and we use the equipment a lot more and it saves lives. We have more road traffic collisions than fires. I train firefighters in how to deal with road traffic collisions. 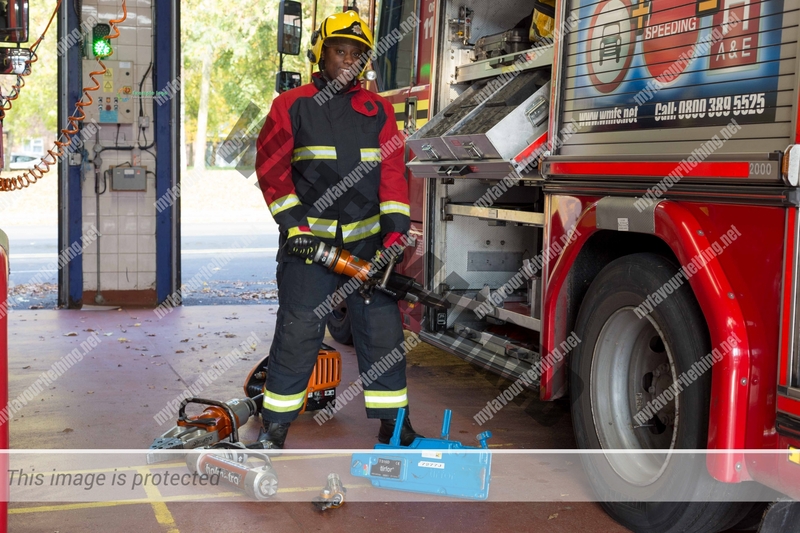 We use the equipment to cut people out of difficult situations. 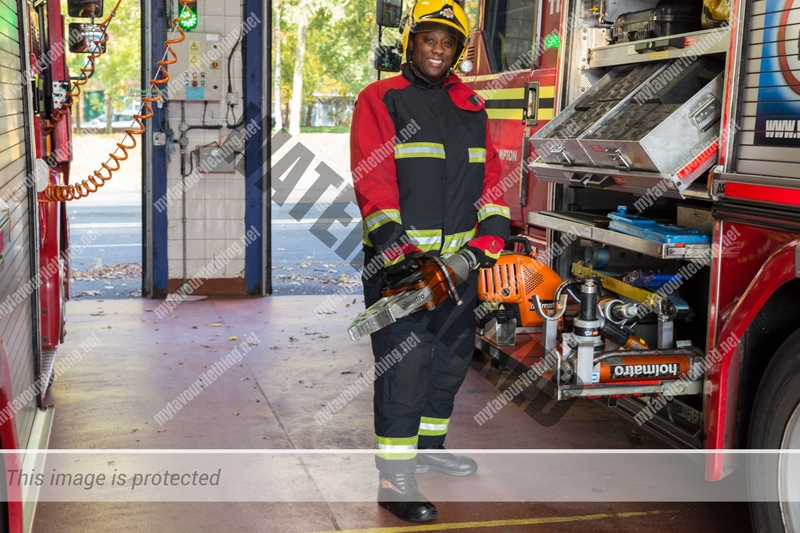 And for me, I just think it’s such an important part of our job because you can get people out a lot quicker and hopefully, in a better condition because of the equipment that we’ve got. “The golden hour is interesting because as a fire service on 20 minutes of that belongs to us. The golden hour [the first hour after a traumatic injury, when emergency treatment is most likely to be successful] is interesting because for us as a fire service only 20 minutes of that belongs to us. It’s from the moment of impact that it’s an hour and it’s to the moment when they get to definitive care. So within that there’ll be ambulance and police. That makes it even more important that we can use the equipment as effectively and quickly as possible to utilise that 20 minutes. We’ll turn up at a road traffic collision and we’ll work through a system making sure that we’re safe first because obviously you don’t want to be run over by a car that’s flying past, that hasn’t seen you, rubbernecking. We stabilise the vehicle so that it’s a steady platform for us to get in and out of and for the ambulance to get in and out of. We do that with blocks, and we’ve got other stabilising equipment as well. And then we manage the glass because we don’t want glass flying everywhere. So we break the glass or we’ve got glass tape that we put over the glass. And then we look at making space so that we can get that particular casualty out. This equipment, we use this to make space with really. We’ve got a ram that will extend and make the vehicle bigger. We put it inside the vehicle. We’ve got the spreader that you put in and you create space with that. So if you can imagine, you might want to create a gap or spread open the door. We’ve got equipment like scissors and you can cut anything on a vehicle with them, cut B posts. And there’s a pedal cutter. If somebody was stuck in the vehicle and their feet were underneath the pedal then we can cut the pedal out of the way. We’ve got airbags that we can put underneath the vehicle, for example, and lift it if somebody’s stuck underneath. If you can imagine 25 years ago, while safety has always been a concern, technology didn’t always allow us to have particular safety. The one example of that is epidermal injections that you can get from hydraulic oil. There have been incidents in the past — we had one in our brigade quite a long time ago where somebody, oil actually penetrated their hand… it can lead to amputation. It can be fatal. The hydraulic oil was really close to you through the cables. That’s improved, where now with this particular equipment that we use, there’s a guarantee that you can’t get an epidermal injection from it. And I think that no matter what I do — you know, maybe I’ll go to a different department or something — but no matter what I’ll do, I’ll always understand the importance of the rescue equipment that we use and how it saves people’s lives. © 2016 My Favourite Thing. All Rights Reserved.